At Polavaram village in West Godavari district of Andhra Pradesh, hundreds of people are queuing up on the Godavari river bank for a cruise tour of Papi Hills, before they get submerged due to the Polavaram Project coming across the river. 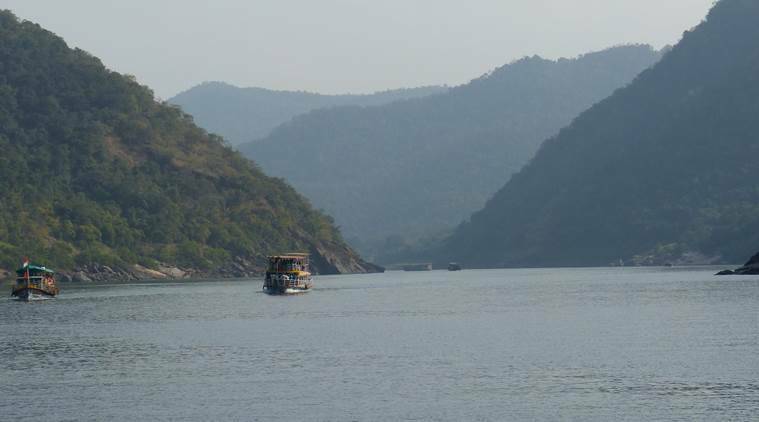 The scenic and picturesque Papi Hills, known as Papikondalu in Telugu, through which the Godavari flows in East and West Godavari districts of Andhra Pradesh will go under water as the reservoir created due to the Polavaram Dam will start filling up in two years. Expected to be completed by the end of 2019, the huge reservoir also would submerge part of the Eastern Ghats, many tribal settlements, rare flora and fauna, and Papikonda Wildlife Sanctuary. As work on the dam goes on at a fast pace, thousands of tourists have started queuing up at Rajahmundry to be taken in buses to the boarding point at Polavaram village to see these beautiful hills before they are lost forever. From upstream Bhadrachalam in Telangana, more boats bring in tourists.